I am back in The ‘Banks in time for All Hallows Eve. The cabin wood bin is full, the weasel still resides in the wood shed outside, and we received just a dusting of snow on Sunday. That does make life better for the rabbits, as they had already turned white and really stood out on the brown earth. The 2-4″ in the forecast, tuned out to be .4″ in reality. We will avoid a brown Halloween only on a technicality. 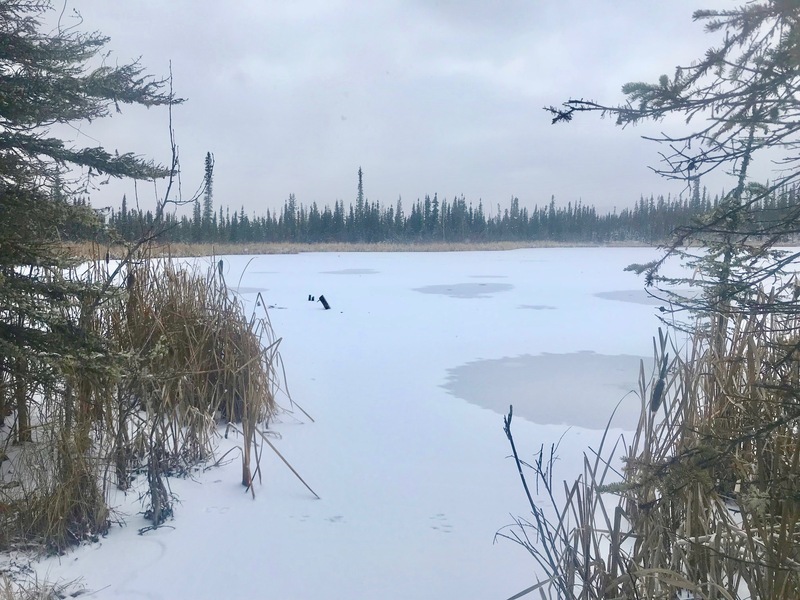 We have had just one brown Halloween since record keeping began in Fairbanks. The year was 1938, when a Chinook wind blew in, and melted what snow there was on the ground in the latter half of October. We are still on pace in 2018 to rewrite some records, however. 1938 set the record for the latest date Fairbanks had an inch of snow on the ground. November 6, to be exact. As of this writing, we have no precipitation in the forecast for the next 10 days. 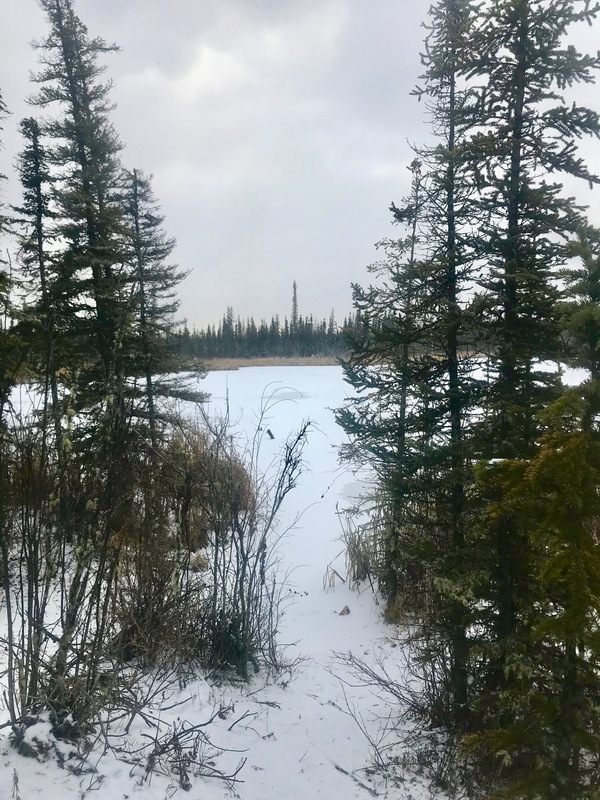 This entry was posted on Tuesday, October 30th, 2018 at 5:50 AM	and tagged with Fairbanks, history, photo, snow, wildlife and posted in Alaska. You can follow any responses to this entry through the RSS 2.0 feed. …you really know how to hurt a guy, looking at your photographs I dearly miss not being back home.